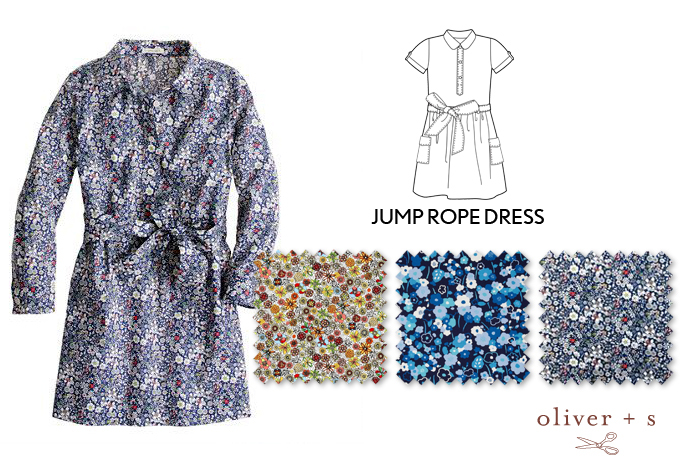 Floral dresses are a wardrobe favorite as they are super girly and can be worn in many seasons. Whether you’re looking for florals that are dainty or big and bold on the frock you’re sewing, you’ll find lots of inspiration and fabric resources here today. 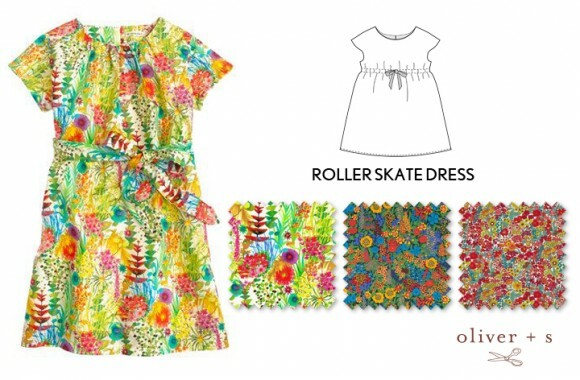 I’ve gathered over a half dozen floral dress ideas to inspire you to sew-it-yourself with Oliver + S. Once you find something you like, grab the sewing pattern and floral prints needed and head towards the sewing machine. It’s that easy! 1) Recreate a similar dress to this one using the Hide-and-Seek Dress. It can be tricky to find gold stripe fabric, but here’s an idea. Fabric swatches 1 and 2. 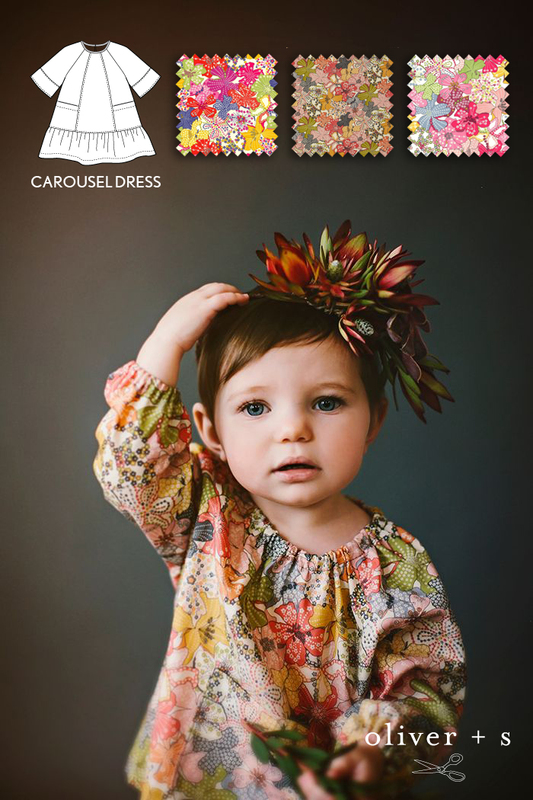 2) For this playful look, try stitching a Carousel Dress. Fabric swatches 1, 2, and 3. 3) Sew up a Roller Skate Dress for a comparable understated look. 4) How about a cute Jump Rope Dress similar to this one in garden floral prints? 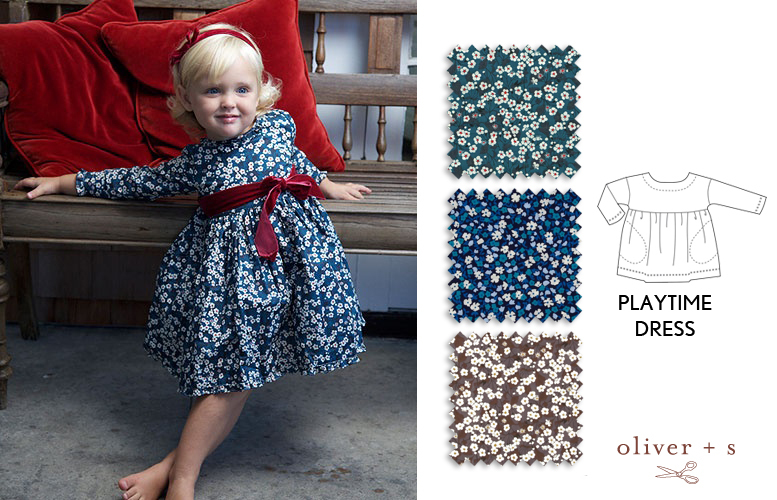 5) Make this fun frock by using the Playtime Dress. 6) Let this inspire you to sew up a Fairy Tale Dress like this sweet and classic one. 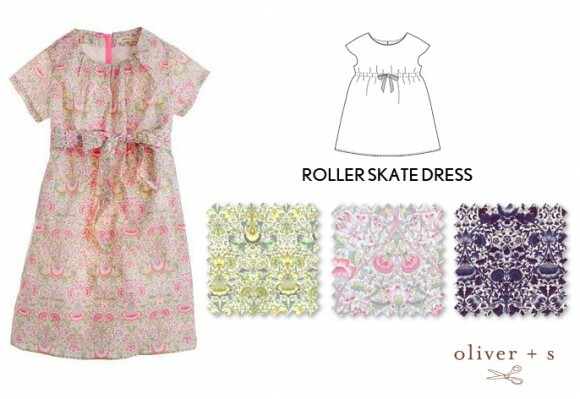 7) And lastly, for a bold one like this, try the Roller Skate Dress. 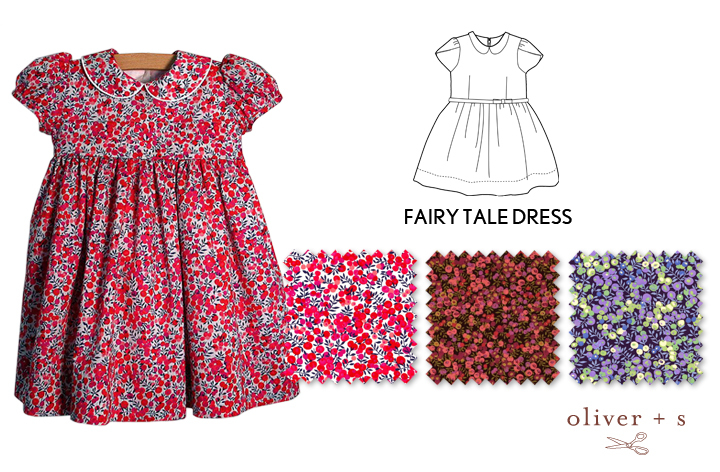 And for little girls, size 4 and under, don’t forget about matching floral Seashore Bloomers under the dresses! Love these pretty florals! Great picks. 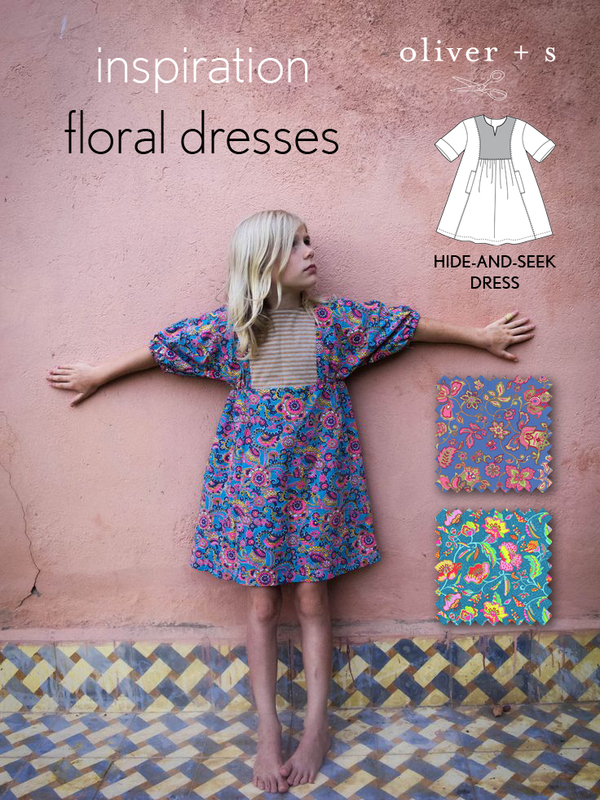 Liberty is always beautiful but AMH, Kaffe Fassett, and the Kaufman ‘London Calling’ line you linked to all offer great florals or floralesques in nice quality fabrics. This post is full of such beautiful things, it makes me want to run to my sewing machine and get started! So many wonderful examples, thank you! I love this post of inspiration – from the paired patterns, fabric swatches, and inspirational photos!! You make it so easy for one to recreate any of these looks…. Thanks for taking the work out of it for us. I LOVE all these picks! I am such a huge floral fan and these fabrics and patterns pair perfectly together. Thanks for the inspiration.